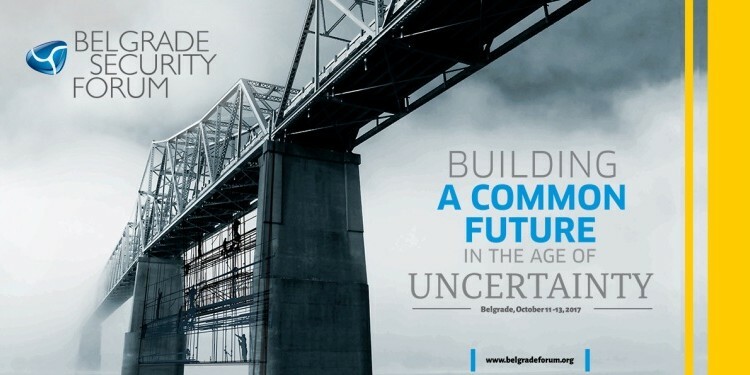 The 7th Belgrade Security Forum (BSF) entitled “Building a Common Future in the Age of Uncertainty” was organised on 11 – 13 October 2017 by the Belgrade Fund for Political Excellence, the European Movement in Serbia and the Belgrade Centre for Security Policy in collaboration with several partners. During three days of plenary panels and simultaneously organised smaller sessions, several topics were discussed, such as the EU as a global crisis manager, migration, populism, the Berlin Process, economic and social inequalities, the NATO – Serbia partnership and Western Balkan security. EUROMIL’s President, Emmanuel Jacob, participated at some of these panels and sessions. A more detailed report can be found on the BSF homepage.